Windows users who have moved through several operating system upgrades (XP to Vista being the most traumatic for many) often lament the lack of key drivers for their mission-critical peripherals. 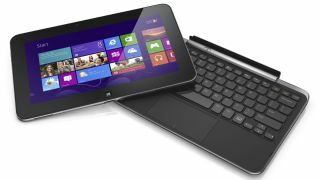 Fortunately, users migrating from Windows 7 to Windows 8 have been saved major headaches since these operating systems have enjoyed the best support for peripheral drivers than any incarnation of Windows. In addition, as Windows 8 is touch enabled and available on desktops and mobile devices, peripherals need to be compatible across these platforms. If you are unsure whether an existing peripheral you already own or one you plan to buy is compatible with Windows 8, check the Windows Compatibility Center website. A product can be searched for by name, and the service also lists popular products including peripherals that have already been checked for their compatibility. Users with older peripherals should scan their computers before making the migration to Windows 8, to check whether there are any compatibility issues with their existing peripherals. The Upgrade Assistant utility can be downloaded from the Microsoft website. Ensure that all the peripherals you want to check are turned on before running the Upgrade Assistant utility. If the peripheral you are using doesn't have a driver for the new operating system, Windows 8 will default from the Metro interface to a generic one. This could mean some of the features you're used to having with the peripheral won't be available. Printers are a good example here. However, leading peripheral manufacturers have learnt from past driver debacles when Microsoft releases a new version of Windows. The majority of them are pretty efficient at releasing compatible drivers to coincide with the launch of a new Windows OS. Older or obscure peripherals tend to suffer the most from compatibility issues, since it can take some time – if ever – for a new driver to become available. There may also be a compatibility issue depending on the platform you are running Windows 8. For instance, notebook users may not have instant graphics support until all the graphics card developers have released up-to-date drivers for their hardware. Desktop users tend to be better off, but running the Windows 8 Upgrade Assistant will deliver a report showing any issues that may cause problems. In addition, DVD playback may require installation of a media app such as VLC media player, because automatic playback is not available on Windows 8 by default. Swipe in from the right edge of the screen, tap Settings, and then tap Change PC settings. If you're using a mouse, point to the lower-right corner of the screen, move the mouse pointer up, click Settings, and then click Change PC settings. Tap or click 'Choose how updates get installed'. Under Important updates, choose Install updates automatically. This is a recommended setting. In addition, it's important from a security perspective to ensure that only digitally signed peripheral drivers are ever installed on a Windows 8 device. Windows will detect any driver that doesn't have a current digital signature and alert you. In these cases the driver installation should be terminated. Visit the peripheral manufacturer's website that should contain the legitimate driver complete with its recognised digital signature.